Now’s the time for summer planning for the women of your church. Instead of scaling back or taking the summer off, consider experimenting with a fresh and flexible schedule that accommodates the often-sporadic pace of summer. · Add the number of weeks between the end of school and when teachers return to school in the fall. · Subtract the week of Vacation Bible School (or any other similar church-wide activities that might compete for church members’ time). Remember, you want to support other ministries, not compete. · The remaining weeks equal the time you have for your summer scheduling options. You’ll probably discover six to seven weeks available for women’s ministry planning. 1. Reach new groups of women. Home-schooling moms, school teachers, and school support staff are three groups of women who especially enjoy having access to Bible study opportunities during the summer months. By making special efforts to reach out to this group with a study that fits their schedule, you’ll build bridges and help them feel just as valued as women participating in fall or spring studies. 2. Consider a drop-in approach. For ladies who typically enjoy an in-depth study, try different approach. Crazy summer schedules often call for a more open and flexible study, so check out some lighter studies that can work in a "drop-in" format. Bible Studies By Demand, for Women – Vol 1 and Bible Studies by Demand for Women DVDs – Vol. 2 or vol. 3 are great options. If your women’s study groups typically commit to one study for an entire semester, check out four- and six-week study options: Bible studies for women . There are some shorter studies which are a great way to try something different while still providing discipleship time for these ladies. As another summer Bible study option, you might encourage women to "check out" studies from the church to lead a small group for their friends and neighbors in their homes. Home Bible studies are a great way to build seeker-sensitive relationships with others in the community, and God can use these home-based groups to help women plug into your local church. Backyard picnics, city parks, and backyard pools provide a sampling of inexpensive ways moms with young children can get-out-of-the-house and spend time with Christian friends. All it takes is someone to schedule and publicize the event. 6. Wrap up the summer or kick off the fall with a banquet. By August, an organized gathering like a banquet with a focus of fun and laughter heralds the end of summer. 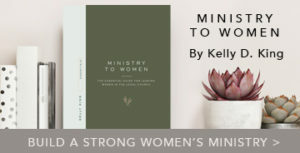 It also provides a great opportunity to preview upcoming fall activities in your women’s ministry. 7. Organize a retreat or campout. Consider a mother/daughter retreat or campout. You won’t have to compete with school activities, and mom gets to spend one-on-one time with her daughter and her own friends. 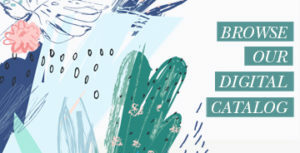 An easy retreat is now available with Loving Well: Retreat in a Box by Beth Moore . It includes everything you need to plan and conduct a retreat. 8. Welcome women to the community with a coffee. 9. Lend a helping hand in your church and/or community. With the help of your ministry/missions committee or other leaders in your church, find out if a local Habitat for Humanity home could use some construction help. It’s a great opportunity to organize work day for your women and express God’s love to the community. Also, check within your church for individuals who have special needs around their home that they can’t tend to themselves. Painting, cleaning, yard work, or just an old-fashioned sing-along at the home of a shut-in would provide a wonderful opportunity for women to work in groups as small as two or three. Be sure to take digital pictures and share them to promote future work days. In addition to helping out around the community, think about hosting a work day at church for women’s ministry (or another ministry). Summer is a good time to clean out the women’s ministry closet or decorate your meeting rooms – anything that would help welcome women when they return in the fall. 10. Perform the ever-popular "random acts of kindness." Brainstorm an outreach using "random acts of kindness," such as delivering cookies to the fire or police department, free car-washes, or distributing bottled water at parks can be fun (and even better if you can stay anonymous!). 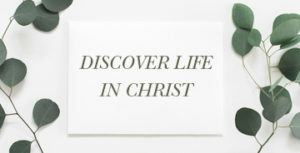 When possible, leave cards with a message of God’s love. With a little creative planning, your women’s ministry can use the summer days to disciple, evangelize, and touch the world with Christ’s love.